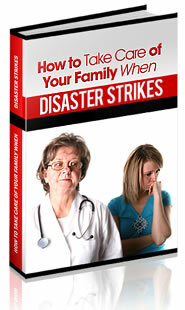 Disaster Preparedness – How Ready Are You? It was a beautiful day in North San Diego County where Softec has their headquarters. Nancy Mandell, the IT and Operations Manager was reviewing the firm’s strategic plan and making edits to her section in preparation for the Executive Team’s retreat next week. Feeling the sun streaming in through her office window, she gazed out and saw something a little concerning. In the distance was a plume of smoke. She quickly checked the internet for local news and learned there was a fire burning out of control about 10 miles north. Winds were kicking up and blowing in a southwesterly direction, and Softec was right in the path. Steve Wilder, the Marketing Director, was having a staff meeting in his office when the alarm rang on his computer and his Blackberry simultaneously. His two managers felt their Blackberries buzz at the same time. They checked their Blackberries and each had received a text message: “Possible fire headed this way. Level 1 of Disaster Plan activated.” Steve quickly wrapped up their staff meeting and called in the rest of the department. “Level 1 of our disaster plan’s been activated. Pull out your disaster plans and begin making the appropriate preparations,” he instructed everyone. Similar activity was taking place throughout the company. Messages went out to all computers and blackberries. An announcement was posted on the company intranet. Human Resources Manager, Carol Standers had her Employee Relations Representative post announcements on all bulletin boards, and the Telecom department issued a company-wide voice mail announcement. Additionally, an announcement was made over the public address system. An alert went up on the company website to inform customers and suppliers of the current situation and how to contact Softec if they necessary. They filed back to their departments and teams to continue with preparations. Within the next two hours, things had changed dramatically. The fires had spread and were headed in their direction….fast. Nancy activated Level 2. Again messages went out via intranet, e-mail, and text messages. Alerts were posted on the company’s websites and emails went out to customers to alert them to the company’s possible evacuation. Personnel were instructed to pack up critical documents, laptops, and important personal possessions. Everyone was on high alert. Employees whose homes were in the path of the fires were told to go home and take care of their families. Once they and their families were safe, employees were instructed to call into the out of state 800 number that had been previously set up for just such an event. Level 3, emergency evacuation, was activated an hour later after a call from the Fire Department. All employees were instructed to evacuate to safe locations except those who were part of the disaster preparedness team. After checking in with their own families, the president and his disaster team headed for their pre-arranged disaster headquarters. Their disaster plan included three different locations within the county depending on the location of the impending disaster. Again messages were sent via internet, intranet, text messages and voice mails to all cell phones, and e-mails to employees, customers and suppliers. The company had also made arrangements for backup network operations at two different remote locations, both outside the County. The first one was activated, and the network operations were switched to that location. This meant no disruption of email, or document file access, enabling employees to connect remotely to the network and continue working. Within an hour, the building and parking lot were empty. One by one, employees started checking in via the pre-arranged 800 number or via email to communicate their status and location. Those who had laptops or other computers connected remotely to continue working. The disaster team re-grouped at the designated location and began monitoring the fire’s progress, coordinating calls and information updates both to and from employees, suppliers, customers and government and emergency personnel. 12 hours later, they were informed that their building complex had been spared and they were cleared to return. Notices went out to all employees that they could return to the office the next day. Customers and suppliers were notified via email the next day that they were back in their offices and open for business. A similar message was posted on the company website. Thanks to the advance preparation and quick action of the disaster team, there was no business interruption. Three employees had lost their homes and five had suffered damage, but fortunately no one was hurt. While this is an example of a fictional company, it could happen to any of us. What did this company do that made the difference? Is your company equally prepared? Here’s a simple plan you can follow to ensure your organization weathers a disaster as well as Softec did. A	Create a Business Disaster/Continuity Plan. Where do we want to be in an emergency? Put the systems, structures and procedures in place to ensure you can stay open for business or get back in business within 24 hours. How did Softec do this? They had a vision for how they would continue to operate in the event of an emergency. This included pre-established remote locations so they could switch their network to a remote facility and keep the critical computer operations humming. They put communications plans in place for two-way communications between the company and staff and clients so everyone knew the status of the company and the employees. And they made it possible for key employees to work remotely, accessing their files and staying in communication with company personnel and clients. Once you have created your disaster plan, it is important to review it at least annually when you do a review and update of your strategic plan. B	Establish key success metrics. How will we know everything’s working successfully? If you don’t have a strategic plan, create one, and be sure that disaster preparedness/business continuity is part of it. When preparing your disaster plan it’s a good idea to identify metrics for tracking how well you are implementing the plan. These might include the different ways to communicate both with employees and clients – your company intranet, your website, email, text messages, etc. They should include an update of the number of employees that have been trained in what to do, where to go and where and how to call or email in the event of a disaster. A regular communications plan also should be included that identifies how frequently you will be training, informing and reviewing the disaster plan with employees, as well as how frequently and in what way you will keep your customers informed in the event of an emergency. C	Do a current state assessment. Where are we today? Do we have the right structures/teams in place? Identification of the risks: fire, flood, earthquake, terrorists, power outage, tornados, etc. D	Develop Key initiatives or strategies. What do we need to do to ensure a successful plan? Once you’ve identified your current state of preparedness, list the key initiatives you need to take to bridge the gap of where you want to be in terms of preparedness and where you are today. This should include departmental action plans in critical areas that need to support the plan. Create a matrix that identifies each key initiative and the actions supporting those initiatives. For each key initiative, identify the champion and who else to involve, as well as the date by when the initiative will be completed. For each action task, identify the person responsible and who else he or she needs to involve to get the job done, as well as the date by when each action will be completed. Establish the appropriate procedures to follow up monthly and ensure that the actions and initiatives are being addressed. E	Scan the external environment as frequently as necessary. What could/might happen in our internal and external environment that could trigger an emergency? Conduct an environmental scan at least annually, and even more frequently depending on the conditions under which you’re operating. If you operate in a high risk environment, then a monthly scan may be necessary to check the external factors that could precipitate a disaster. If you operate in an area prevalent with tornadoes during certain times of the year, then a frequent external scan is necessary only during tornado season. Set up the appropriate structures and procedures so these scans are completed and reported to your disaster planning team as frequently as indicated in your plan. If you follow Phases A through E, you should be as prepared as our mythical Softec was in the face of an emergency. At some point in the life of a business, there will be a critical emergency that tests the organization’s preparedness and ability to continue operating. Don’t wait until then to discover your level of preparedness. Take the steps now to ensure your company’s and your employees’ safety.